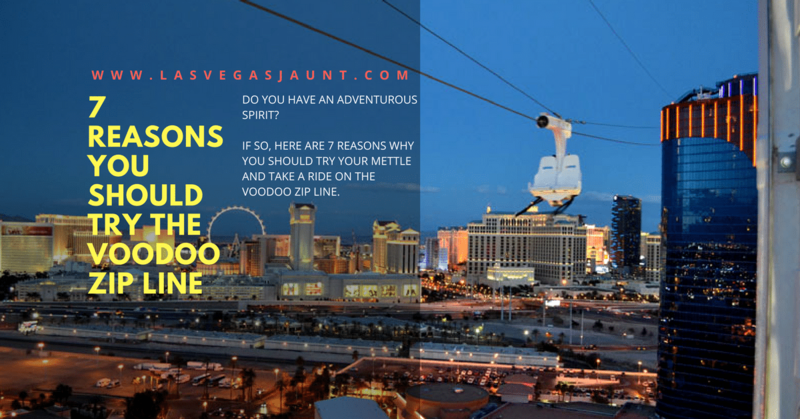 7 Reasons You Should Try the VooDoo Zip Line! Take a ride on the VooDoo zip line! 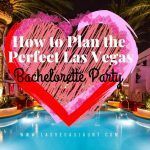 If so, there's an item you should add to your "must-do" list during your next trip to Vegas. It involves soaring off the edge of a 50-story building and racing at high speed above the famous Las Vegas Strip. What is this heart-stopping attraction? It's none other than the Rio Hotel's VooDoo Zip Line. What makes this ride so amazing? Read on to learn all about the VooDoo Zip Line. In recent years, zip lines have become increasingly popular in the US. Zip lines were originally created out of necessity by wildlife biologists in Costa Rica. Now they've evolved into an irresistible attraction for thrill-seekers around the world. What does VooDoo Zip Line bring to the table? There are several features that make it unique in the zip line world. For starters, there’s no harness. The ride is more akin to a high-speed ski lift chair than a traditional zip line. Also, passengers may sit side-by-side and ride together two at a time. Did your pulse quicken as you read those numbers? We thought so. 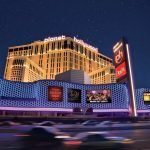 If you aren't already convinced, read on for seven compelling reasons to try it on your next trip to Vegas. There's no shortage of thrill rides in Las Vegas. Maybe, during a past visit, you rode a few roller coasters or dangled off the side of a building. What you need now is a new attraction to make your heart race. And what could be more thrilling than soaring through the air with nothing above and below you but sky? A feature that makes VooDoo even more nerve-wracking is the lone seatbelt you wear during the ride. No harnesses here! The minimal restraint leaves you free to move your arms and legs and pretend you truly are flying through the air. While the rest of your co-workers drone on about their boring family vacations, you'll get to tell them what it was like to soar like a bird 500 feet in the air. You'll even have the pictures and video to prove it. Even among your adrenaline-junkie friends, a ride on VooDoo will earn you some serious bragging rights. In addition to the thrilling adventure, VooDoo riders can take advantage of special promotions. Yes, the Las Vegas Strip is beautiful from any angle. But there's only so much you can see from the sidewalk or the window of your hotel room. Unless you sprout wings, there's only one way to enjoy a bird's-eye view of the city. A ride on VooDoo gives you over a minute to take in the dazzling lights of the city below. At that height, you'll also enjoy seeing the beautiful desert mountains in the distance. 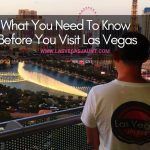 When you think of "family friendly" destinations, Las Vegas probably isn't the first city that springs to mind. The truth, though, is that there are plenty of family friendly activities in Vegas. If your kids love thrill rides as much as you do, they'll love a ride on the VooDoo Zip Line. There's no minimum age requirement to ride, although passengers do need to be at least 48 inches tall. One important note: After 7:30 pm, all riders must be over the age of 21. So if your kids want to ride, be sure to get there early enough. There's nothing worse than having no proof of your thrill ride experience. Don't worry. Photos and video will capture your entire ride on VooDoo, from the moment you're strapped in to the moment you step off. This way, you can relive the thrill over and over again, long after you return home. It's also a terrific memory to share with friends and family. VooDoo is one of the only commercial zip lines in the world that operates both forward and backward. After your first heart-stopping jaunt across the zip line, you'll ricochet back the same way you came. Except that this time, you won't be able to see what's coming. 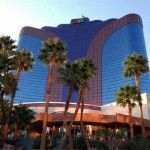 Before you buy your tickets and head to the Rio, here are a few fast facts you should know before you ride. When you arrive to check in for your ride, you'll show your ID and sign a release form. 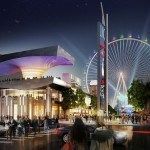 Then you'll ride the glass elevators to the 51st floor and enjoy one of the best views of the Las Vegas Strip. Once you're strapped in, your ride on VooDoo will last exactly one minute and 10 seconds. This includes flying both forward and backward. After your ride, you'll have the option to purchase photos and/or a video of your ride. And, if you're over 21, you'll enjoy free entry to the VooDoo Rooftop Nightclub and Lounge. It's the perfect place for a celebratory drink! These are just a few of the many reasons to ride the VooDoo Zip Line. After you've conquered it, you're sure to come up with a few more. Ready to buy your VooDoo Zip Line tickets? 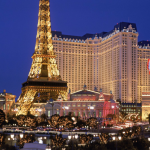 Click here for discount tickets to VooDoo and other famous Las Vegas attractions. Before this article, I have never seen a zip line in a city. I think that this would be a cool idea for any city to increase tourism. I’m a little of a daredevil and would love to do this.